Accepts both 310ml and 400ml cartridges. 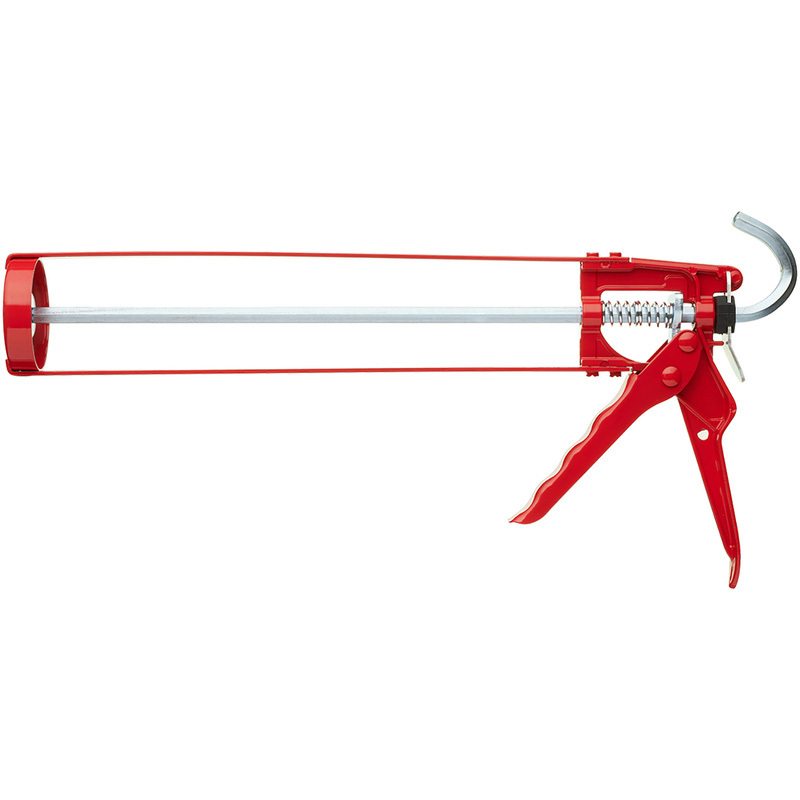 Prodec Standard Applicator Sealant Gun 425ml is rated 3.7 out of 5 by 31. Rated 1 out of 5 by Ray999 from Does not maintain pressure The ratchet mechanism does not maintain the pressure when the handle is squeeezed. So you have to maintain pressure on the grip and apply the material at the same time. Taking this one back. Rated 4 out of 5 by dazza63 from well made easy to use. value for money. Rated 5 out of 5 by tam62 from perfect I needed one as my old one was old and battered. Rated 1 out of 5 by Romczyn from Very uncomortable in use Don't buy it. Find smth better. Rated 5 out of 5 by Old dog new tricks from Good replacement gun. I get through a fair number of sealant guns, the triggers tend to bend - this one looks a cut above average, we will see how it goes after a few weeks onsite with Silicone/ acrylic/ gripfill etc going through.